This tutorial is going to show you how to set up the YouTube parental controls so you can limit what your children can browse for on YouTube. 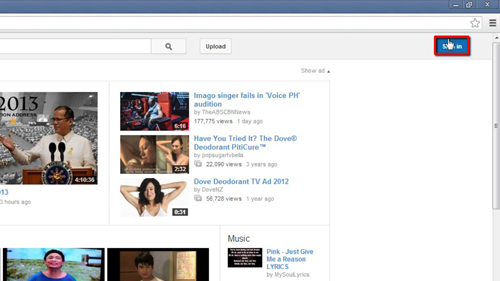 First you need to go to the YouTube home page at “www.youtube.com”. 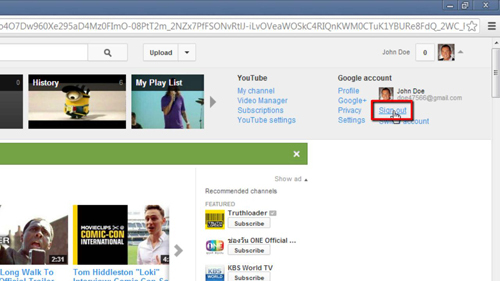 Click the “Sign in” button in the top right and log into your YouTube account (this is probably the same as your Google account). You will then be taken back to the homepage. Once there scroll all the way down to the bottom of the page and you will see several settings available in drop down boxes. The one we are interested in here is “Safety” which is currently set to the off position. Click on this option and the settings area will expand. 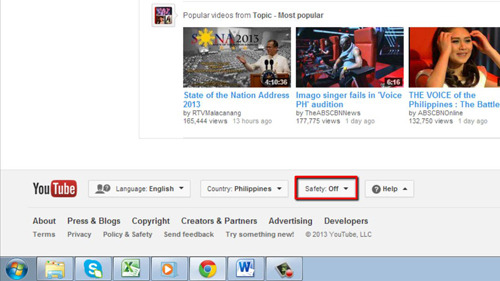 Click the “On” option that has appeared, check the box below this and then click “Save”. Now that the safety mode is enabled, results that are not appropriate for children will be excluded. Right now though, the safety mode could easily be disabled, by just scrolling to the bottom and turning it off – so it’s not very useful right now. To lock the setting on, log out of your account by clicking the arrow next to your username in the top right and clicking “Sign out”. Now it will not be possible to unlock the safety mode on this browser without you logging into your account and disabling the feature. As you can see when we scroll down to the bottom and open the “Safety” area we can see that it says the user who locked it has to log on to disable it. 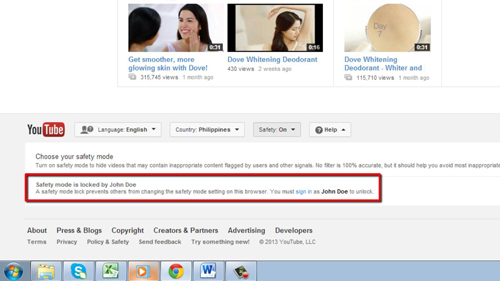 That’s all there is to it, you now know the process for setting up YouTube parental controls.